As a child, I was always fascinated by office chairs (or as I liked them to call them, the spinny chairs). 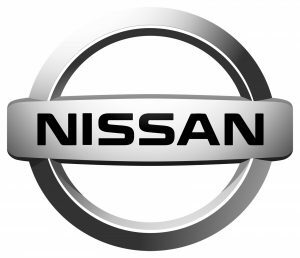 On Thursday, Nissan released the ProPilot self-driving chair. Fitted with sensors, the chair essentially mobilizes itself and is able to avoid obstacles. Although the product is still in the prototype stage, given its features, I couldn’t help but think of situations when the ProPilot chair would come in handy for students here at Boston University. Boston University students can say goodbye to calf cramps. PHOTO VIA WIKIMEDIA COMMONS. 1. Getting from your dorm to FitRec. I understand that using the ProPilot to get to FitRec completely defeats the purpose of working out. However, as someone who lives in East Campus with an untrustworthy shuttle bus system, the ProPilot would come in handy during those early mornings when you really aren’t feeling the 15-minute walk to the gym. I mean, sometimes I forgo going to the gym simply due to the tedious walk. Knowing that I have my chair to drive me there gives me that extra push to carry on with my workout plans. 2. Waiting in line for a concert. Boston is a fantastic city, period. The fact that it hosts a plethora of concerts featuring various artists really gives it that extra edge. However, as a college student, I find myself unable to pay for those exclusive seat tickets. More often that not, I’m stuck in the mosh pit area surrounding the stage, which means that to get up close and personal with an artist, you’d have to line up five to 10 hours before the show actually begins. Imagine how useful it would be to have an autonomous chair that lets you wait in line without breaking your legs! 3. Queueing up for a “back-with-the-jack” iPhone 8. This one’s futuristic and optimistic because I’m hoping that Apple’s iPhone 8, likely to be released in 2017, will bring back the much-loved headphone jack. Either way, the ProPilot makes waiting in those crazy lines a lot easier. 4. Catching a connecting flight. This one requires the ProPilot to be foldable or portable enough to be carried on a flight. If we assume this is true, and ignore all of the potential issues TSA would raise, the chair would be a life-changer when trying to catch a flight with a narrow connection time. I speak from experience: last year I had a one-hour layover in Heathrow Airport when flying back home to Singapore. The fact that I landed in Terminal 2 and had to get all the way to Terminal 4 boosted my blood pressure level. Safe to say, I was completely out of breath when I reached the gate in the nick of time. Some may say that the ProPilot is promoting laziness and a sedentary lifestyle, but I personally choose to look at the positive side of things.